I Medici. Masters of Florence is a tv series about Medici dynasty, which takes place between 1410 (Cardinal Baldassarre Cossa’s election) and 1448 (Lorenzo the Magnificent was coinceived). It’s an anglo-italian project (Lux Vide, Big Light Productions, Rai Fiction) starring Dustin Hoffman as Giovanni di Bicci de’ Medici, Richard Madden as Cosimo de’ Medici, Stuart Martin as Lorenzo de’ Medici (The Elder) and Annabel Scholey as Contessina de’ Bardi. The series was created by Frank Spotnitz and Nicholas Meyer. The eight episodes from the season 1 were directed by Sergio Mimica-Gezzan. While the story takes place, above all, in the late middle ages Florence, the series was filmed in many different locations in Toscany and Northern Lazio (the Region around Rome). You may be surprised to discover that the middle ages Rome wasn’t filmed in Rome, but in Viterbo, a minor city in Lazio, and Tivoli, a town close to the Capital; at the same time the old Florence was filmed in many different places but in Florence. 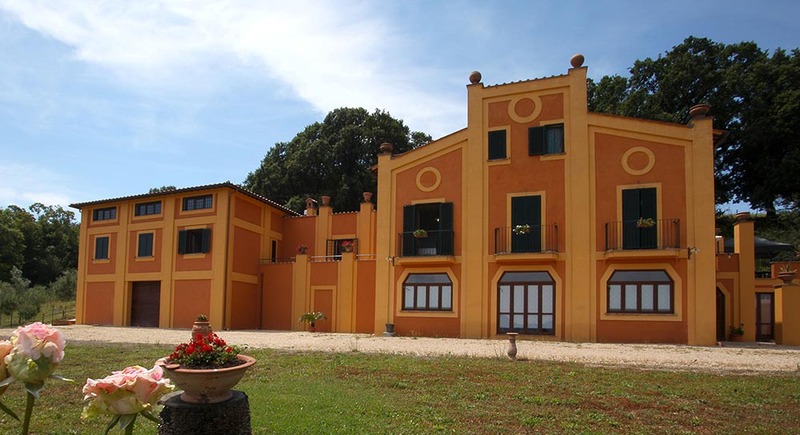 One of the locations the director Sergio Mimica-Gezzan used the most to set a lot of florentine and roman places and palaces is the Castle Orsini Odescalchi in Bracciano. The castle was built by Orsini dynasty at the end of Middle Ages ( 1470/time>- 1485 ), designed by architect Francesco di Giorgio Martini, who drew a high vertical walled fortress, a kind of project that dated back to the previous decades (i.e. Cosimo’s age): after artillery was invented (half of 15th century) the castles became shorter with sloping walls. Inside the castle was finely decorated with frescoes by Antonazzo Romano and Federico and Taddeo Zuccari. Later Baldassarre III Odescalchi restored the castle ( 1895 ), with the help of the architect Raffaele; he also made the castle full furnished in 16th and 17th furnitures. Thank to that cares today the castle is a rich museum (open to public) with many furnitures, weapons, armors and arts that dated back to Renaissance. To make the tv series the production had to make just minor changes to the locations. The tv series is not the only connection between Bracciano (and its castle) and the Florentine Family, but stronger ones come from the history. Between 1417 e il 1696 Orsini Family ruled Bracciano, and built the castle (which is now know as Castle Orsini Odescalchi). The Orsini was already an ancient and important Roman Family when the Pope Martino V (the second Pope that appears in the tv series) gave the feud of Bracciano to the brothers Carlo, Orso and Francesco Orsini. That happend in 1417 , about 7 years later, of when Giovanni de’ Medici and his sons helped Cardinal Baldassarre Cossa to become Pontiff. 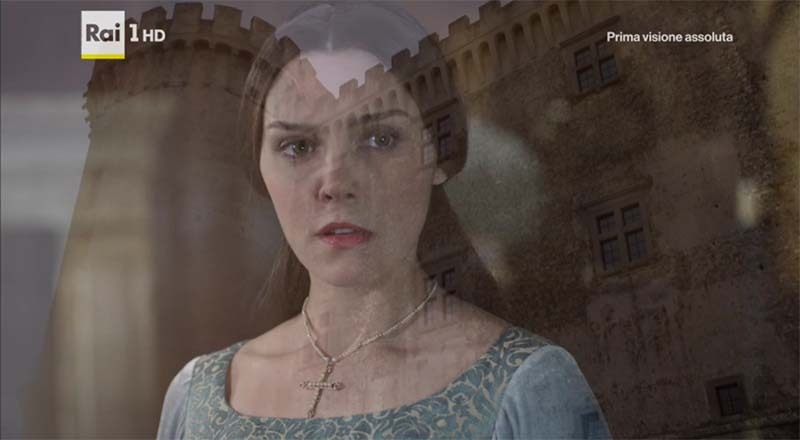 The first link between the Roman and the Florentine family happend about 20 years later than the end of the tv series, when Lorenzo the Magnificent (the son of Piero and Lucrezia Tornabuoni), who was coinceived at the end of S01E08, will marry Clarice Orsini.